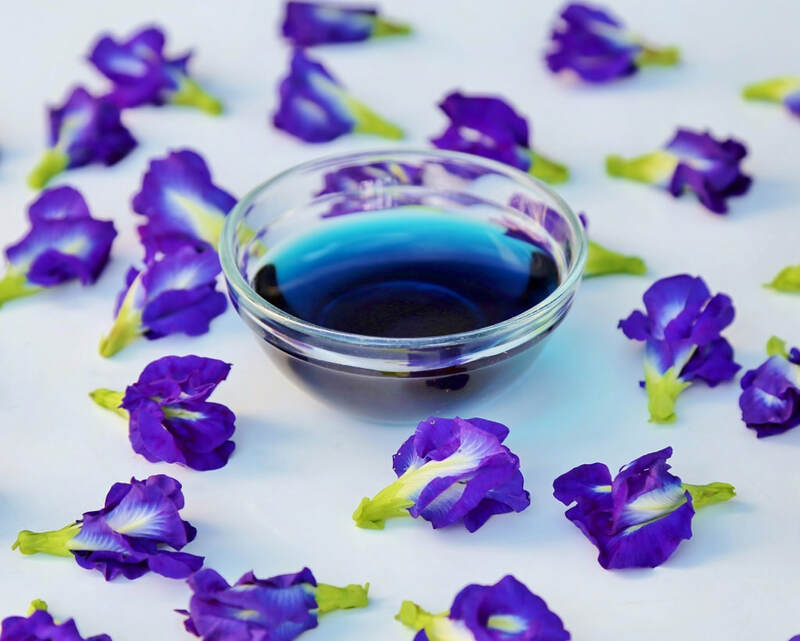 Butterfly Pea Flower & Anchan Water for our Mango with Sweet Sticky Rice Dessert. Our organic home garden provides each class the opportunity to hand pick a large variety of fresh Thai herbs, vegetables, edible flowers, and of course chili peppers. Other ingredients for our class such as meat, seafood, and supplemental fruits and vegetables are purchased daily during our market tour. At the beginning of our local market tour we will give you your individual menu to select from. You can choose one item from each menu category and are strongly encourage to collaborate with your class mates, so everybody will get a chance to see and share the different dishes! ​Our full day class on September 12-2017 had a bunch of fun being creative with their dessert plating. Each one so unique and playful!